It's an unfortunate fact that many projects are doomed from the get go. These projects are started in an unstructured fashion, and they often utilize a lone, insufficient resource; the experience of a project leader. This leader will do the best he or she can, but because most individuals assigned to lead a project at a small business have neither been trained on project management, nor observed a number of well-run projects, they vast majority of projects undertaken by small business are destined for failure. One of the main reasons for this lack of success is in addition to managing activities sub-optimally, inexperienced leaders often flat out skip major project management steps. Project Scope: Scope is simply a statement of what the project intends to accomplish. This seems like a no brainer, but in my experience, the scope of a project is often conveyed informally, perhaps even verbally. When you aren't crystal clear about the scope of a project, your team members will walk away with different understandings of what they are trying to accomplish. The scope of your project needs to be written down, and reviewed with your project team. For a small project, the project scope could take two hours to write, one hour for each team member to review individually, and one hour for the scope to be reviewed collectively by the entire project team. When you're leading a project, remember that the only way to be successful is for your project team to have a complete understanding of what they need to do individually, and a complete understanding of what is being accomplished by the project team. Success Criteria: Having a scope isn't enough. The project team needs to know how their success will be judged. Let's take the example of a marketing collateral project. The scope is to update the collateral with the newly revised messaging. The project will only be successful if the stakeholder(s) like how the collateral reads. Do the testimonials validate the messaging? Does the artwork match? Success criteria are both objective and subjective. If you want to lead a successful project, make sure your team knows exactly how the finished product will be judged. Project Team: This activity involves selecting who's "on the bus". It should be obvious what individuals are doing the actual work, but your team members need to know their dynamic in relationship to both the makeup of the whole team, and to the scope of the project. Who will evaluate the project deliverables and the success criteria to deem the project a success. Who is responsible for communicating or marketing the completed project. Everyone who's playing a role on the overall success of the project, and their team role. Project Plan: One of the most common mistakes made by project managers is making a plan that's nothing more than a schedule. A project plan should include a schedule, but it should also include your budget, risks, assumptions and issues. A plan is critical because it provides the necessary information for a decision maker to determine how the project should progress. Monitoring: Since the previous four activities are done during the creative stages of a project, they have a tendency to be more fun. Monitoring is not as much fun. Truth be told, no one likes to monitor, not even project management professionals. But make no mistake here, you need to track the progress of an ongoing project. Monitoring involves tracking the execution of a project to assess how well the project is proceeding with respect to scope, schedule, and budget. It also involves looking after issues, and risks. These five major activities should be done by all project teams to maximize likelihood of success. In future articles of this series, each of these steps will be covered in much greater detail. Some of the more complex tasks will extend over multiple blog articles. Again, the goal is to right size these activities for small businesses and smaller projects. 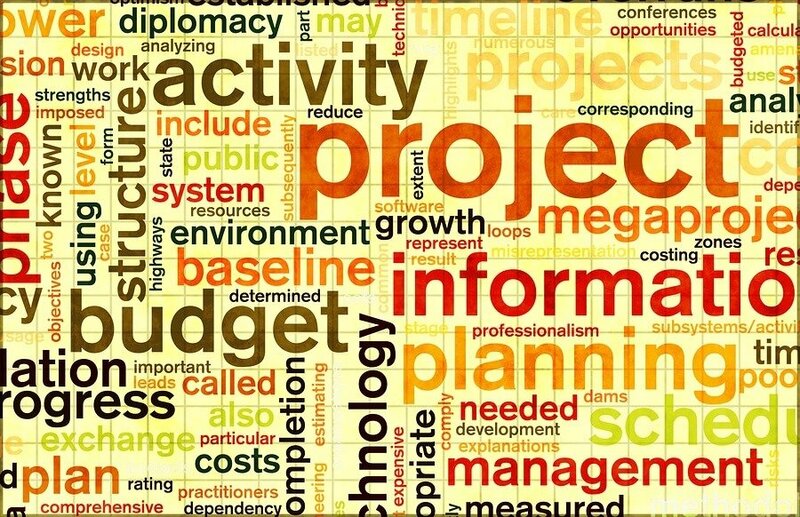 You may have noticed that we are focusing on project management, rather than project execution. Project execution is too broad of a project to be covered in a blog series, but as this series unfolds, many best practices will be revealed. These best practices will help you smoothly execute the projects you're managing. In the next installment, we'll introduce the project example that will be used through this series. If you have questions about project management, David Scarola, PMP, will be happy to answer them on our Facebook page.